Perched high on the very tip end of the dune ridge, overlooking Cape Fear and Frying Pan Shoals in a way offered by no other property on the island, indeed like no other property in the state of North Carolina, rests 721 Shoals Watch. Imagine the possibilities of a home located literally at Lands End, with commanding, elevated views of both South Beach and East Beach, exactly at the point of the dune ridge that forms the ''Cape of Fear''! Imagine the sweeping sunrise views to the east surpassed only by stunning sunset views to the west from the high ridge homesite located overlooking one of the three great capes of North Carolina. Such a truly unique opportunity is available only at Cape Fear and only at 721 Shoals Watch on Bald Head Island!Enjoy the serenity and security of a home located high above the Cape's waters, above any designated flood zones, yet uniquely and calmly gazing down upon the infamous "Graveyard of the Atlantic". Imagine the history spread before you where pirate ships, square riggers, merchant vessels, blockade runners and even U-boats lie upon the ocean floor, their stories never fully told. Nowhere, absolutely nowhere, on the East Coast does there exist such an opportunity save on the windswept dunes of 721 Shoals Watch. Cape Hatteras and Cape Lookout are both National Sea Shores. Only Cape Fear remains available and there is only one homesite so uniquely positioned. Come see it today. 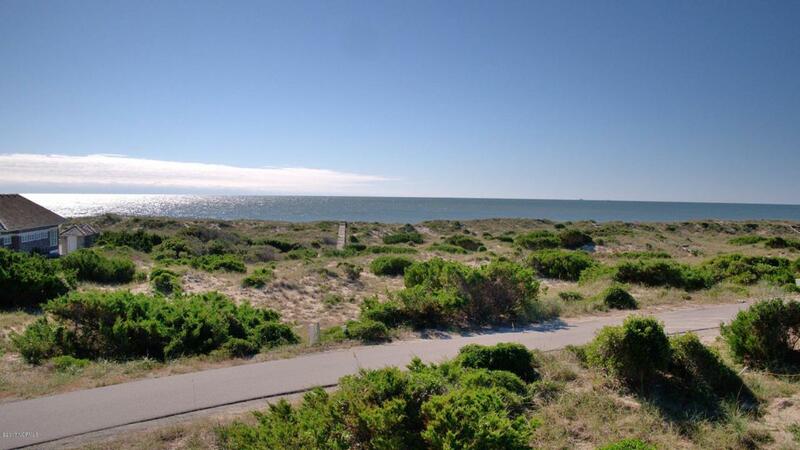 Close proximity to the ocean-front shoals club affords most convenient beach access and all the club amenities. Equity memberships in the Bald Head Island club and Shoals club are available for separate purchase.